Lotus Notes is a crime against humanity. In exhibit 001-E we see more Notes slight-of-hand. Lotus Notes is a crime against humanity. In exhibit 001-D we see how Notes tricks you, like used car salesman, into thinking it’s actually going to help you. Lotus Notes is a crime against humanity. In exhibit 001-C we see how Notes inflicts purposeful psychological damage. Lotus Notes is a crime against humanity. In exhibit 001-B we see how Notes makes it’s first impression. Lotus Notes is a crime against humanity. In exhibit 001-A we’ll explore how Notes greets those unfortunate enough to forced to use it. 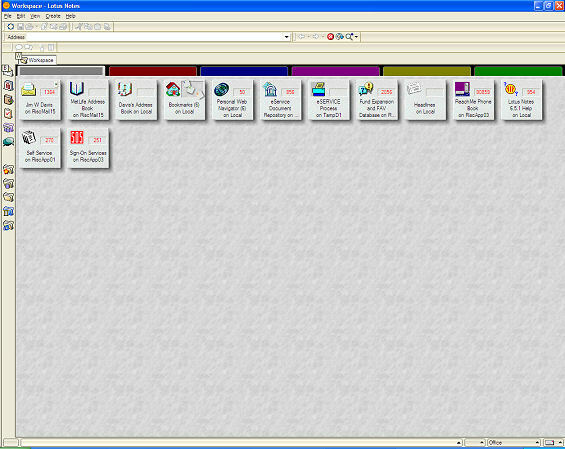 Notes attempts to construct a conversational labeling system on the login screen, one that walks the user through the process effortlessly. In this it fails utterly.